I'm officially a candle-retard. I love the idea of candles and incense and things that smell good... but usually my house smells more like smoke and dog. Since candles for me serve more of a decorative purpose than anything else, it's of utmost importance that the thing look good. And nothing looks better than a Mary Katrantzou print, so the Rodial x Mary Katrantzou candle is high on my wishlist of things I have no use for but want anyway. The scent, for those of you who actually bother to light those wicks, is of orange and lemon, pineapple and orange blossom. And just a quick tip from the interwebs, your candles will burn slower if you keep them in the freezer (although no one will really appreciate that beautiful vessel). Make sure you wrap the wick in foil to protect it first though. Alternatively: sprinkling salt into the pool of melted wax will also extend its life the next time you burn it. 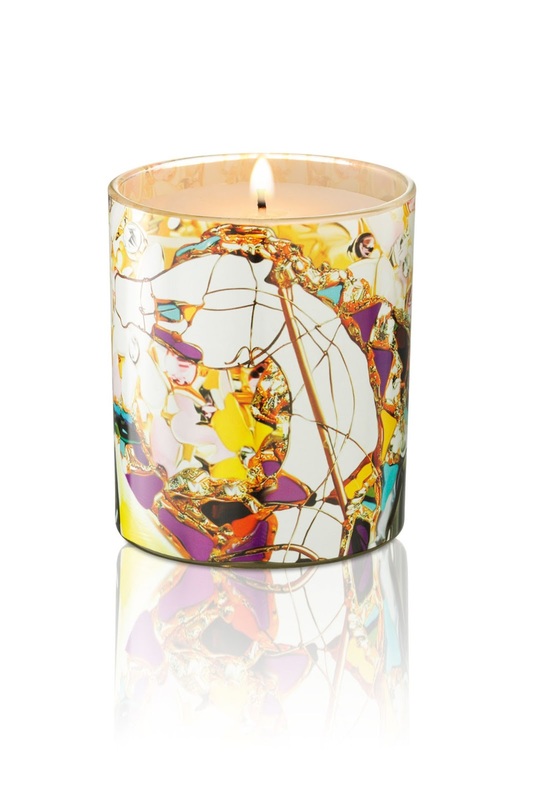 For $380 a candle, you want it to last as long as possible, nahmean?